Your girls have decided to do a bake sale fundraiser. 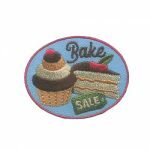 They have followed all the guidelines from council for holding an additional fundraiser and selling baked goods. 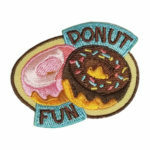 All that’s left for them to do after they met their goal is to sew on their new patch from MakingFriends®.com! Any time of year is a perfect for an ice cream party! 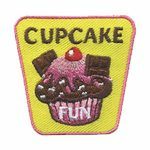 Let your girls make sundaes at your troop or service unit celebration. Combine it with a SWAP* night for even more fun. 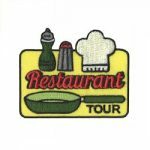 You can book an ice cream party and tour at your local ice cream shop for a fun and easy celebration. An ice cream party is also a great theme for your recruitment event. 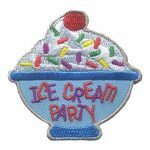 This adorable Ice Cream Party patch is sure to be a big hit with your girls. There are so many reasons for your girls to prepare a spaghetti dinner together. 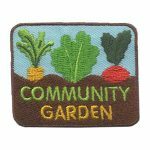 Some might decide it’s a great way to fulfill a badge requirement. Other troops might want to reach out to a soup kitchen or shelter to ask if they could prepare a spaghetti dinner for those in need. 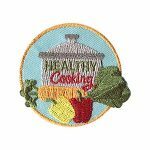 Many troops participate in meal trains for a sister scout family or community member who needs their support for a while. Spaghetti dinners make a great fundraiser too. Of course sometimes the girls just want to enjoy a meal together just for fun. When serving food to the public remember to check your council regarding the food safety guidelines they require. 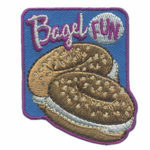 And of course, you’ll want to remember the patch! 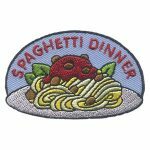 The Spaghetti Dinner patch from MakingFriends®.com will make a great reminder of your fun or service.